What's the Google Analytics demo account? Everyone who wanted to use Google Analytics but feeling bit difficuIties on it, might think of seeing its sample reports prior to the implementation of the Google Analytics to your web site, isn't it ? 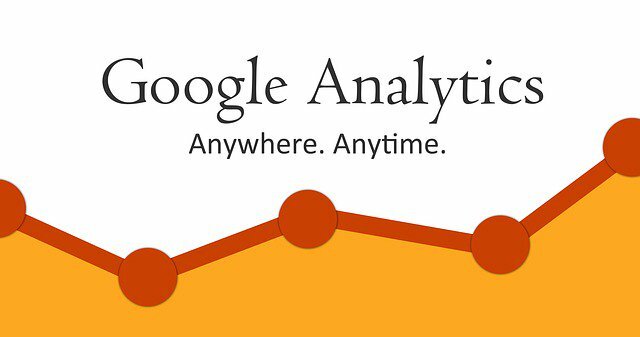 Now Google give us Google Analytics demo account to make it happen such desire to be come true. Without putting a snippet on your web site, even without ANY pieces of code, anyone who has the access to Google Analytics is able to see that sample report on the demo account. And, of course it's totally free. It's really generous, Google is, as usual ! 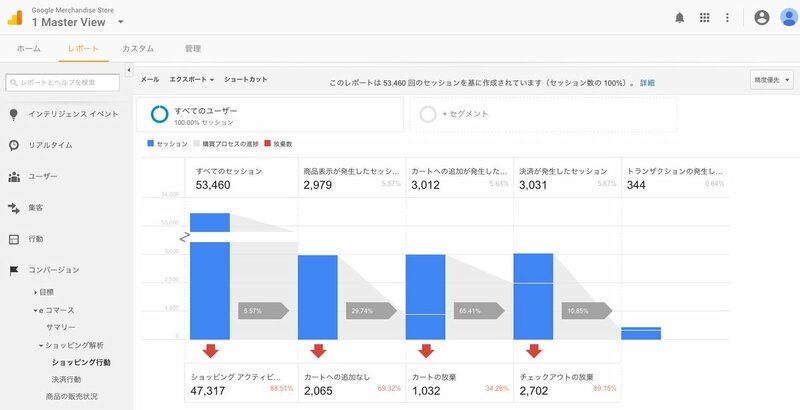 In addition, although it is the sample report, it's not sloppy, because the data is coming from measuring Google's e-commerce site which is called Google Merchandise Store and is managed by Google. It should be good for use from the credibility of data and its sense of reality. How to start using Google Analytics demo account? 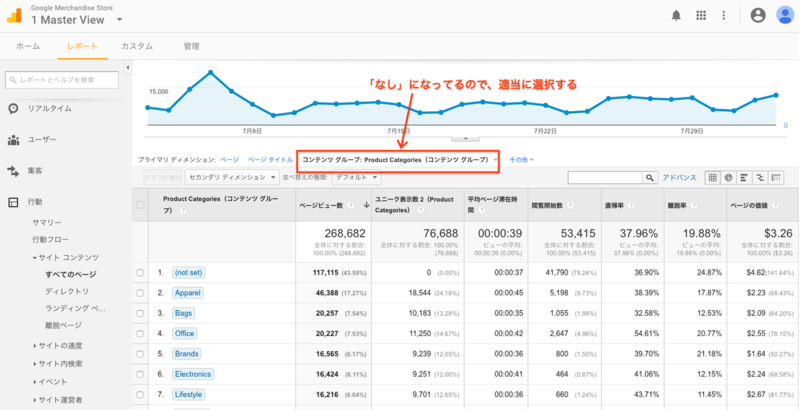 Nothing is hard to start to use Google Analytics demo account. Almost you need to do is, just close to one click.Steps are as follows. Navigate to https://accounts.google.com in your browser, then logging into Google account ( i.e. Gmail, YouTube, even the account that was registered at the beginning to use Android also works ). If you've already logged in, then you can go to the next step 2). 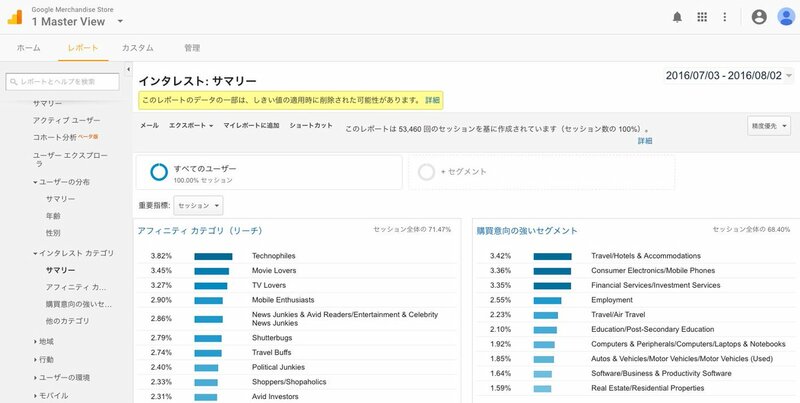 Navigate to the Google Analytics online help, which mentions the description of the demo account https://analytics.google.com/analytics/web/demoAccount. Then just click on the link ( see the red rectangle in the screenshot below ) which is labeled as "Add a demo account." Just that's it, seriously. It's a piece of cake, right? After that, you'll find "Demo Account (beta)> Google Merchandise Store," which is displayed the Google Analytics admin console. The data inside those views does not seem much different, but I think that it is good if you look at the data of 1 Master View if there is no particular reason. Well, although it's good to see the demo account in front of you, I think someone might be confused on where you can find the report which you should deal with since there're lots of the menu on the Google Analytics left side navigation. So, I'd like to pick up five reports, which can be useful for many people, by the author of dogmatism and prejudice. You might feel like "Oh, I can see what a unique and valuable data!" Wow ! You can see visitor's attributes (gender and age) and Interests on the Google Analytics without having a membership database.I've never seen before. However, these two reports just seemed that you need special settings on the Google Analytics admin console. For someone who didn't notice it, I thought it's good to select these two reports as recommended sample reports on the Google Analytics demo account. 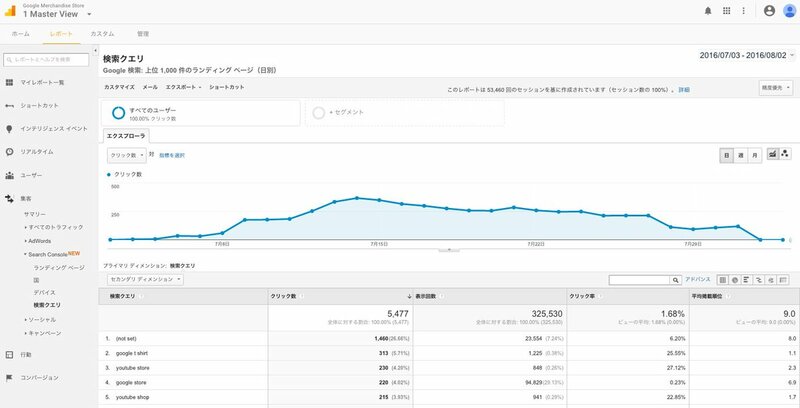 You can integrate Search Console ( f.k.a Google Webmaster tool ) data into Google Analytics, and you'll find useful search keywords report on it. 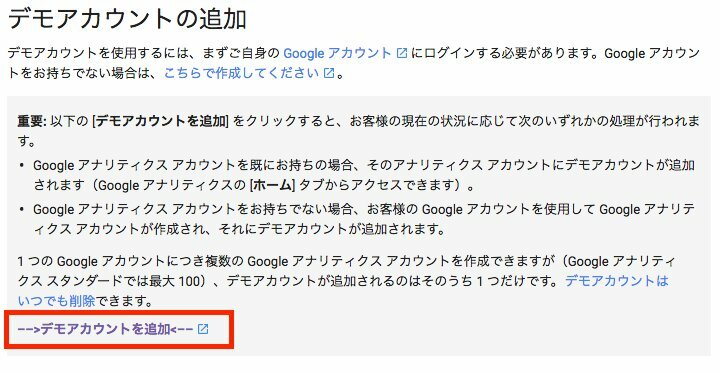 After the SSL encryption of the search result, this feature is getting important more and more, since search keyword has been becoming invisible in the ordinary Google Analytics reports. However, since steps of integration is a little confusing, so I think some people haven't yet done it.That's why I pick up this report in this article. The Content grouping, which is recently added to Google Analytics, is a feature that will be grouped by the various rules of the content of the website. While you can only see the content performance data on a page-by-page basis ( i.e. per URL ), if you use this function, contents analysis data will be aggregated to each contents group, which you define on the Google Analytics admin console. However, to use the content grouping, you need to make a somewhat tedious settings on the admin and it might be needed to modify Google Analytics tracking code depends on requirements. This fact might prevent many people from benefit from Contents Grouping. That's why I picked up this report for some who's wanted to see look and feel of Contents Grouping report. What ···? Is it possible to track e-commerce data with Google Analytics ?Moreover, it can be so excellent various data ? And..., that say, I'd like to mention the Ecommerce report as a recommended in the last which surprised me most in the Google Analytics demo account. Looking into a little, it seems necessary to modify the somewhat complex tags in order to see this report. I think it must be needed to fired up when it comes do it yourself actually. So, as you can see such valuable report for free, I'd like to select this one as a last recommend. That's it today, hope it helps you to walk through the Google Analytics demo account. Happy Google Analytics ! !